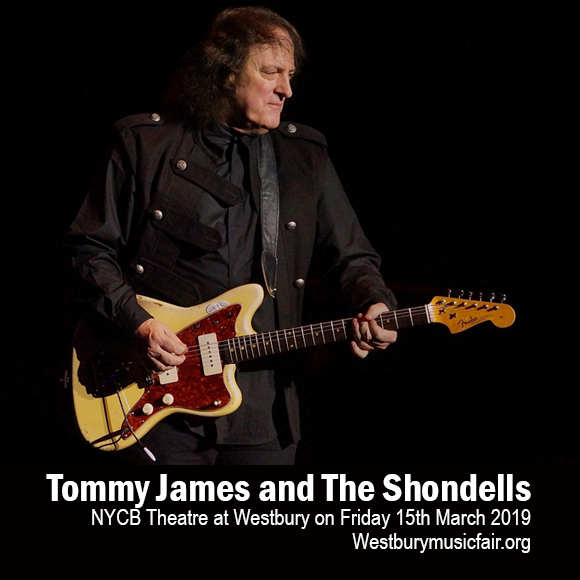 Great throwback times are gonna be rockin' and rollin' ahead as Tommy James and The Shondells will be reelin' in the years of good 'ole American classic rock and roll music at the NYCB Theatre at Westbury on Friday 15th March 2019. You'll never be going to alone in this walk down to memory lane. Tommy James and The Shondells' devoted fans are raring and ready to twist and shout to the music of this rock n' roll icon. They're not only babyboomer fans but the whole gang of gen-Xers down to the millennials are also in tow. Keep up the pace as ticket sales are moving briskly. Book your tickets now! Tommy James and The Shondells were one of the poster boys of classic American rock n' roll. Tommy James was only 12 years old when he became the founding member, singer / frontman of Echoes, but later renaming hi band to Tom and the Tornadoes and finally settling down to Tommy James and the Shondells (derived from one of Tommy’s music heroes Troy Shondell). Tommy James and The Shondells had a mild brush with local success when they released the single "Hanky Panky" in 1964. In the verge of quitting and some member line-up changes, "Hanky Panky" resurfaced beyond the borders of Michigan, Indiana, and Illinois, with its popularity spreading like a virus in Pittsburg and other states. Since then, Tommy James became a sensation overnight, but the fame and fortune lasted with a succession of hits that went from nationwide to worldwide. The band accumulated a whopping 19 Billboard Top 100 charting hits. "I Think We're Alone Now", "Mony Mony" and "Crimson and Clover" were their major top 10 chart-toppers. Expect this show to be bursting at the seams. With the band's biggest hits prominently featured in a slew of movie soundtracks, TV show, and major music artists doing covers of their classic hits, This show will definitely be well-attended by a cross-generation of music lovers.